Wondering where to find the best cafes near you? Hoodline crunched the numbers to find the top such eateries in Fresno, using both Yelp data and our own secret sauce to produce a ranked list of the best joints to enjoy a leisurely breakfast or brunch with your coffee or tea. Topping the list is Red Apple Cafe. 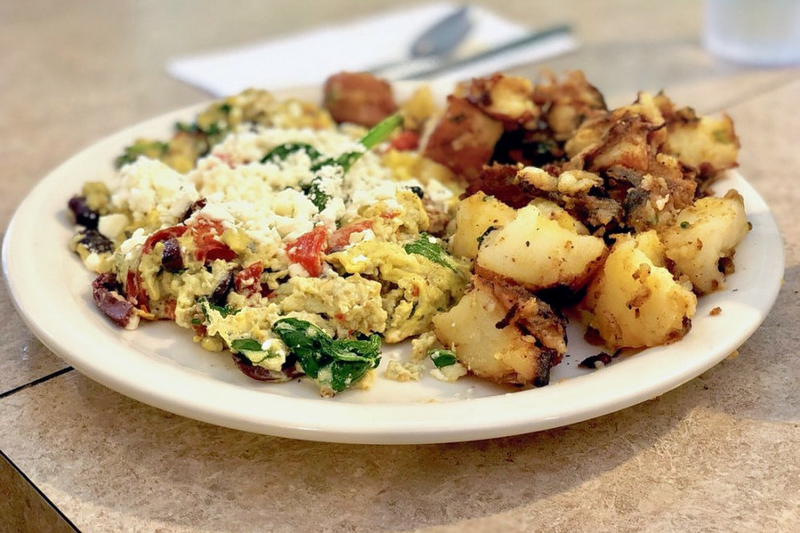 Located at 488 W. Herndon Ave. in Northwest Fresno, the breakfast and lunch-only spot is the highest rated cafe in Fresno, boasting 4.5 stars out of 660 reviews on Yelp. Yelpers love its Hawaiian French toast, piled with strawberry, pineapple and shaved coconut, as well as its hot link take on eggs Benedict, topped with the spicy sausages and a chipotle-flavored Hollandaise sauce. Northwest Fresno's Teazer World Tea Market, located at 3140 W. Shaw Ave., Suite 111, is another top choice. 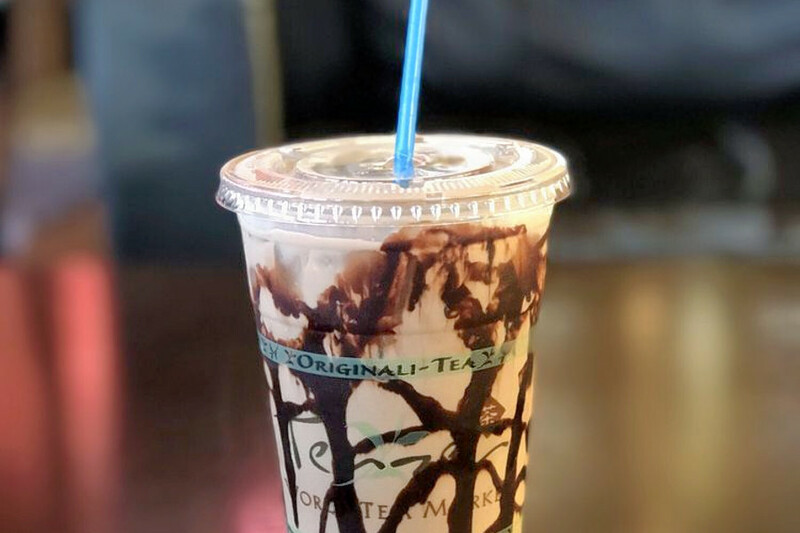 Yelpers give this branch of the local chain of loose-leaf tea shops and cafes 4.5 stars out of 101 reviews for its iced drinks like the Chocolate Chip Chai, hot teas like lavender Earl Grey, and quiet vibe. 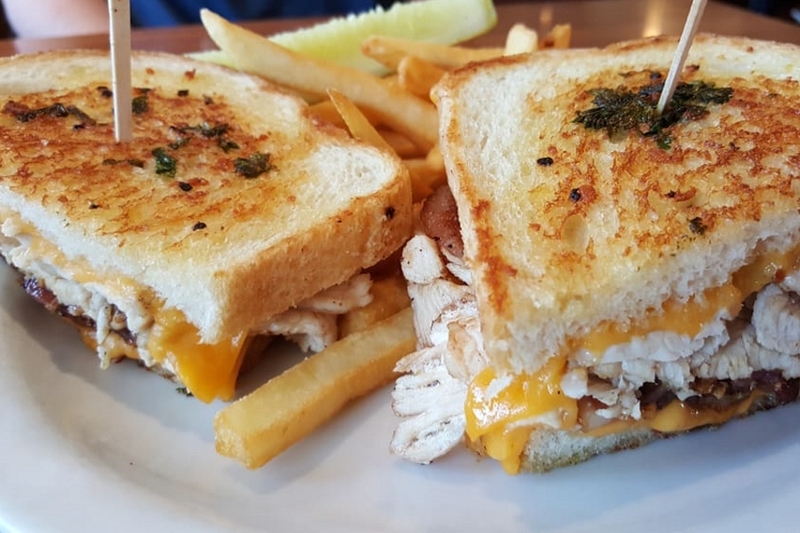 Flight Line Cafe, located inside Southwest Fresno's Chandler Executive Airport, is another well-liked go-to, with five stars out of 31 Yelp reviews. In addition to its classic American diner breakfasts, the mom-and-pop shop offers Chinese favorites like kung pao chicken. Head over to 524 Airport Road to see for yourself. 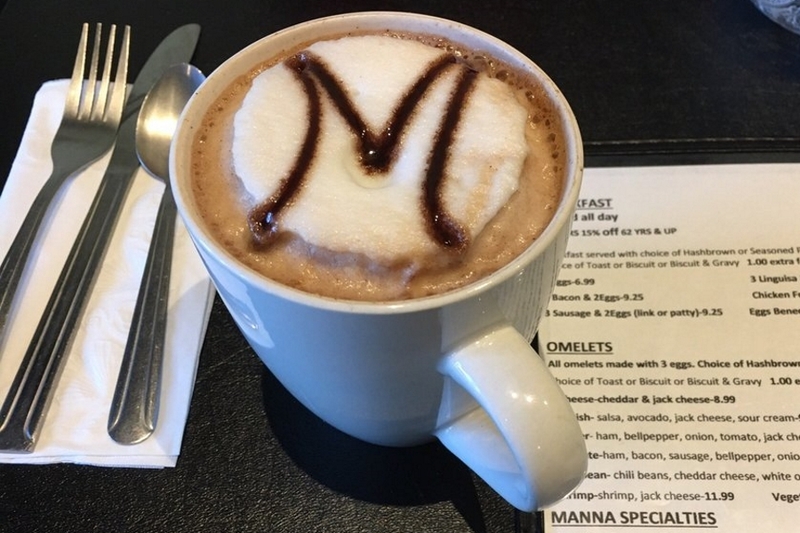 Last but not least, over in Northeast Fresno, check out Manna Cafe, which has earned four stars out of 180 reviews on Yelp. 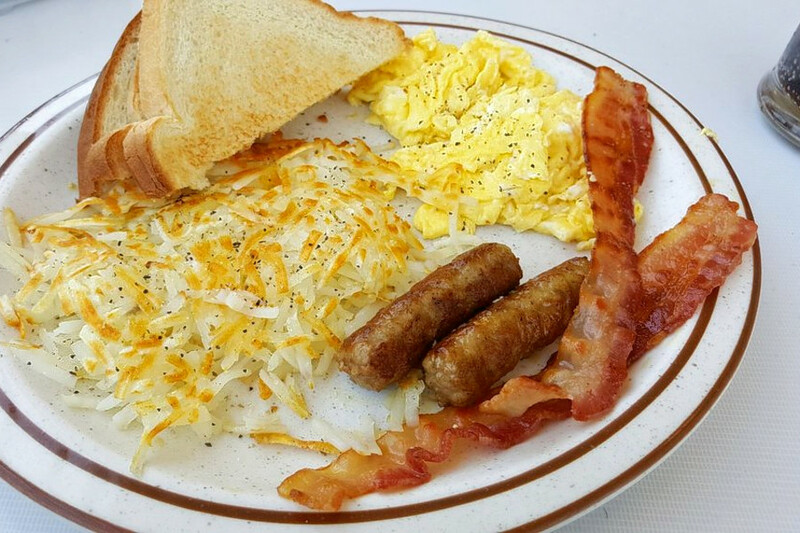 You can find the traditional breakfast and lunch-only cafe at 10063 N. Maple Ave.
Yelpers love the spot's chicken-fried steak and eggs, as well as its many sandwiches and specialty breakfast burger (with a choice of beef or sausage patty, egg, bacon and cheddar cheese). Credit card-using customers should be aware that an extra surcharge applies to card payments.